Florida is rocked by the latest school shooting, Olympians go for gold, and Louisiana revels in Mardi Gras celebrations. 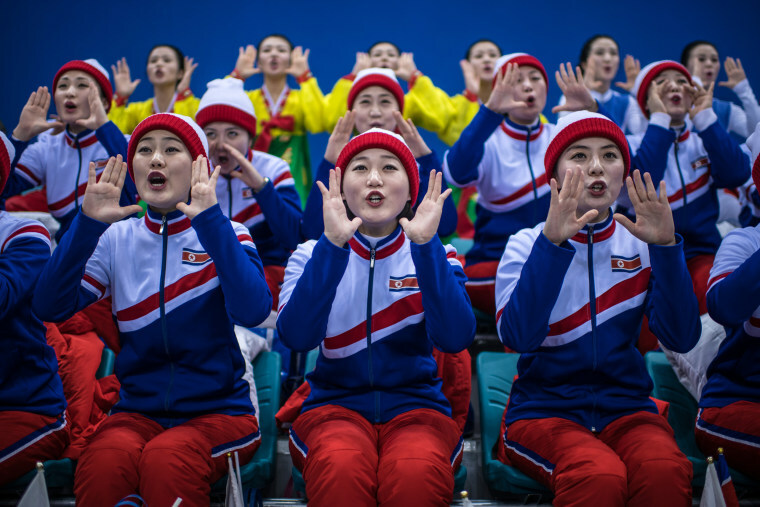 North Korean cheerleaders chant during the women's ice hockey preliminary game between Korea and Japan at the Winter Olympics on Feb. 14 in Gangneung, South Korea. The cheerleaders have been a fixture at games played by the unified Korean women's ice hockey team, which featured several players from the North, but this was the first time they have attended an Olympic event not featuring a North Korean athlete. Dubbed in South Korea as the "army of beauties," the cheerleaders were attending the Olympics in a sign of warming ties between the two Koreas that some U.S. officials have warned against. 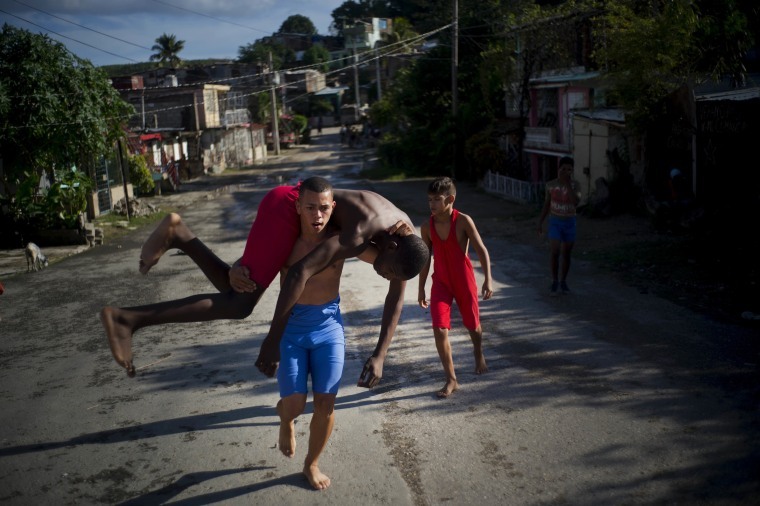 Young wrestlers train in the street during a week-long student wrestling championship coined "the truth of my neighborhood," organized by locals in the Chicharrones neighborhood of Santiago, Cuba, on Jan. 22. In this neighborhood, a wrestling-loving local man created a homegrown, neighborhood-backed program to support aspiring wrestlers from Cuba's economically struggling provinces. 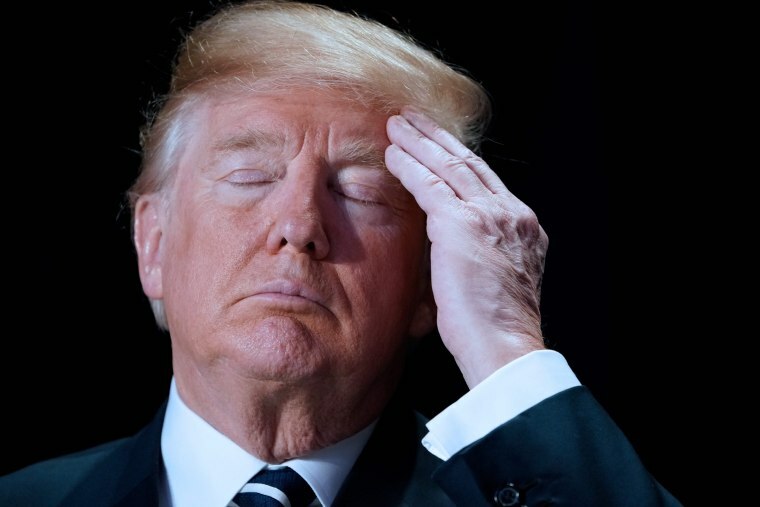 This photo was released by The Associated Press this week. 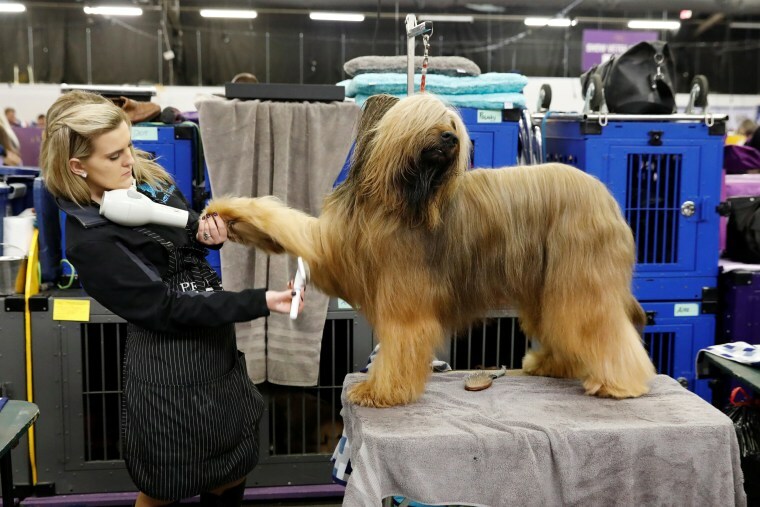 Jambo, a Briard, is groomed in the benching area on the first day of competition at the Westminster Kennel Club dog show in New York on Feb. 12. 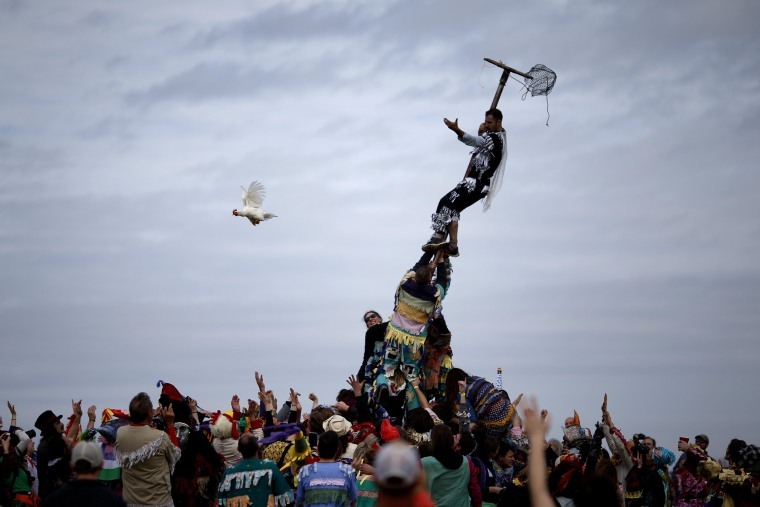 A reveler releases a chicken from a cage after climbing a greased pole during the Faquetaique Courir de Mardi Gras celebration in Eunice, Louisiana, on Feb. 13. 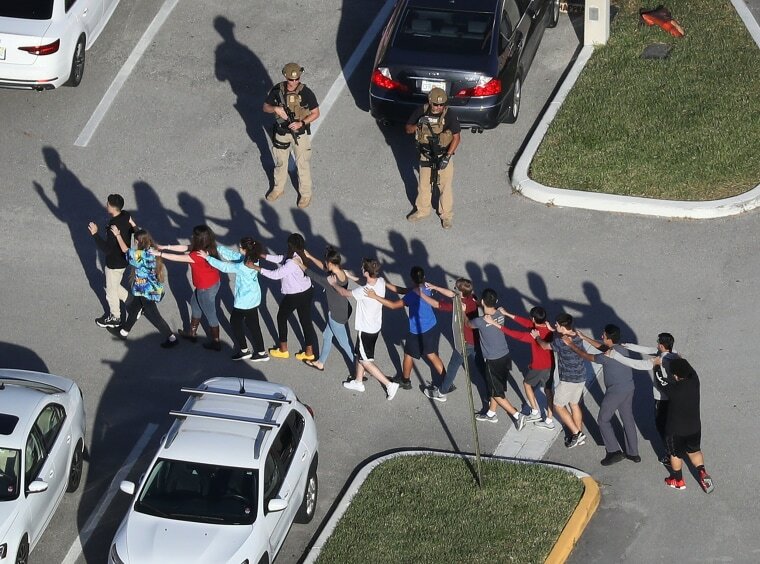 People are brought out of the Marjory Stoneman Douglas High School after a shooting in Parkland, Florida, on Feb. 14. A former student opened fire at the school, killing 17 people, sending students running out into the streets and SWAT team members swarming in before authorities took him into custody about a mile away. 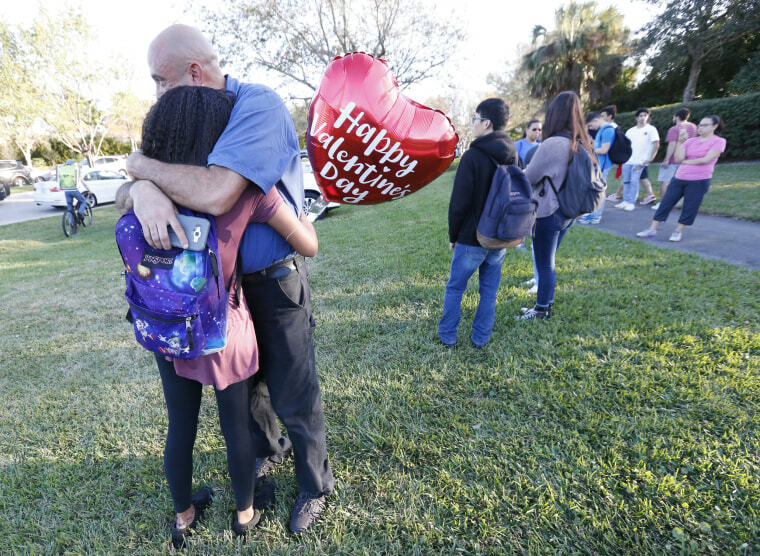 Parents wait for news after a reports of the shooting in Parkland, Florida, on Feb. 14. 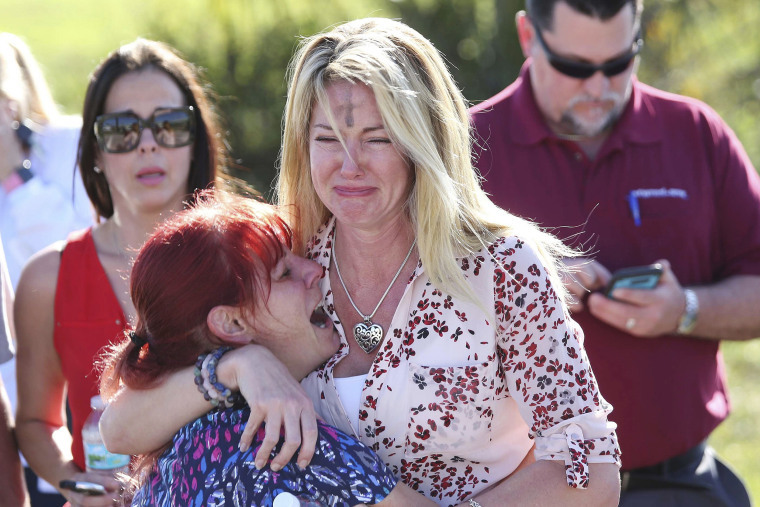 Family members embrace after the shooting at Marjory Stoneman Douglas High School on Feb. 14 in Parkland, Florida. 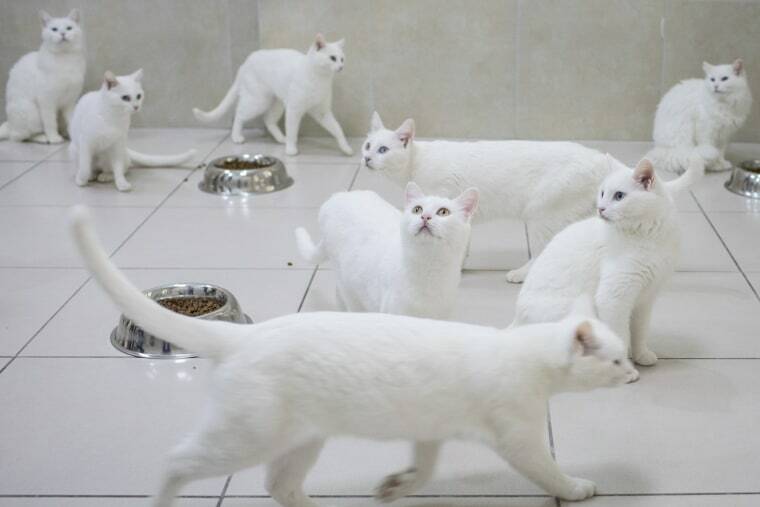 Turkish Van cats eat in their dining room at the Van Cat Research Center in Van, Turkey, on Feb. 8. The breed is one of the oldest domestic cats known, having lived in the Lake Van region of eastern Turkey for centuries. The Turkish Van Cat has a distinct look with an all white coat sometimes just with a spot of color. The breed has three eye colors, blue, yellow and green, which are sometimes mismatched. President Donald Trump attends the National Prayer Breakfast at a hotel in Washington on Feb. 8. 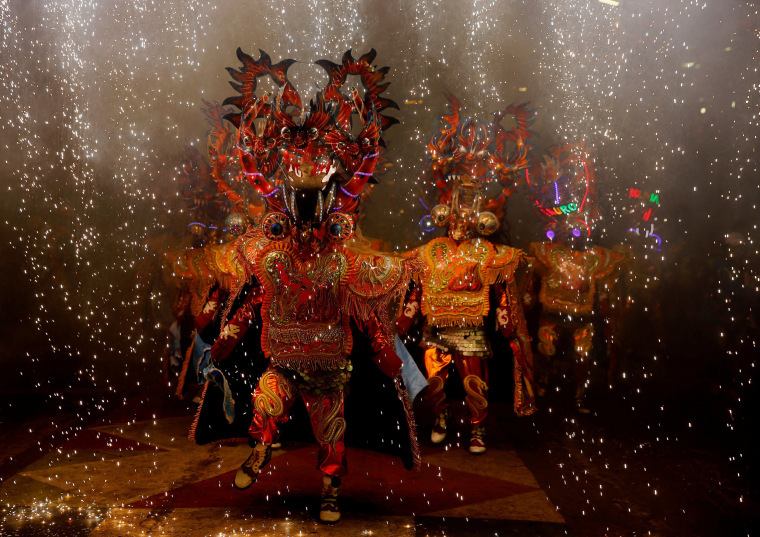 Members of the Diablada Urus group perform during the Carnival parade in Oruro, Bolivia, on Feb. 10. A survivor, lower right, walks away from the scene of a deadly tour helicopter crash along the jagged rocks of the Grand Canyon, in Arizona, on Feb. 10. 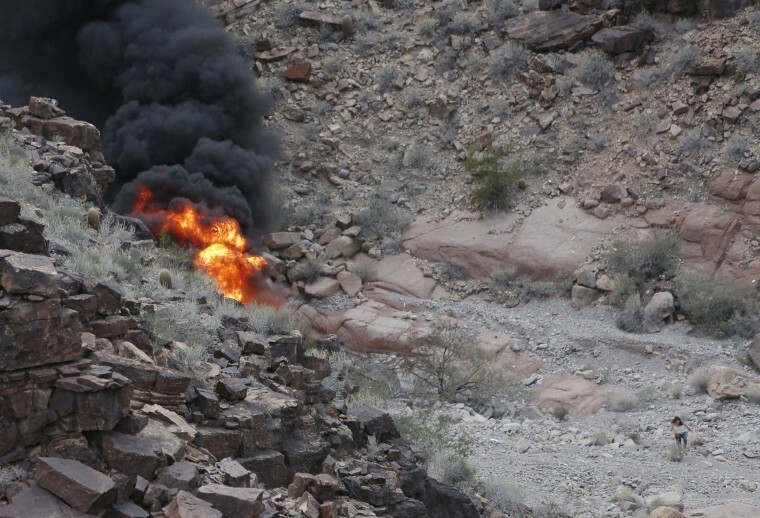 The crash killed three British tourists and left four others critically injured happened on the Hualapai reservation outside the national park where air tours are not as highly regulated as those inside. 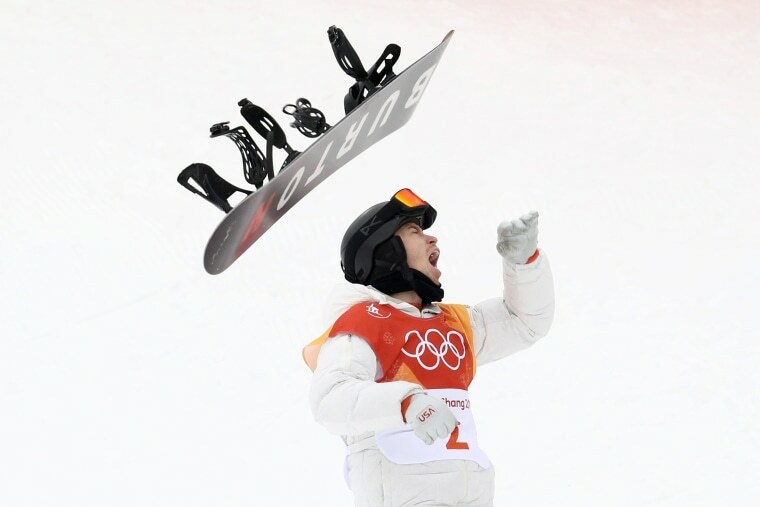 Shaun White of the U.S. celebrates winning gold during the men's snowboarding halfpipe final at the Winter Olympics in PyeongChang, South Korea, on Feb. 14. 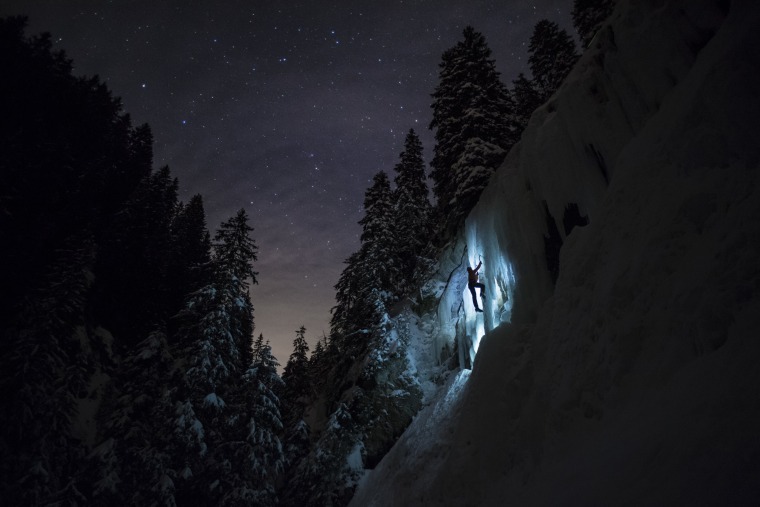 White is the first American male to win a gold medal at three separate Winter Olympics. A member of the Beija-Flor samba school performs during the second night of Carnival at the Sambadrome in Rio de Janeiro on Feb. 13. 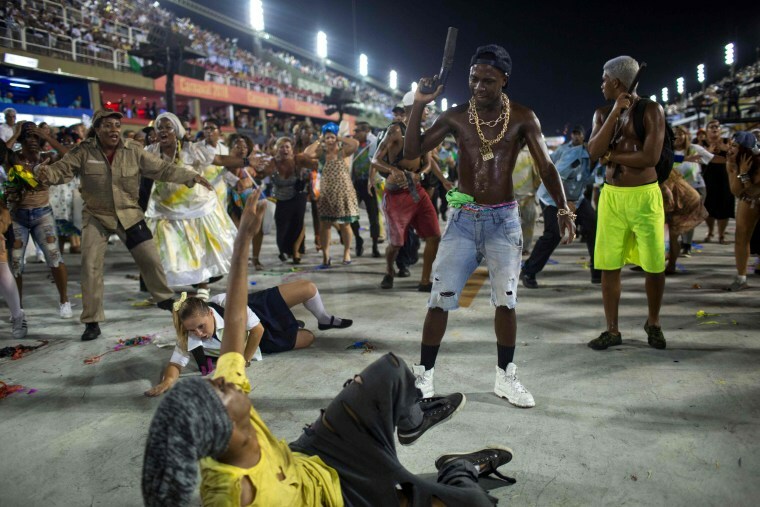 The celebrations came during a time of unease, as the city that hosted the 2016 Summer Olympics is experiencing a surge in violence. 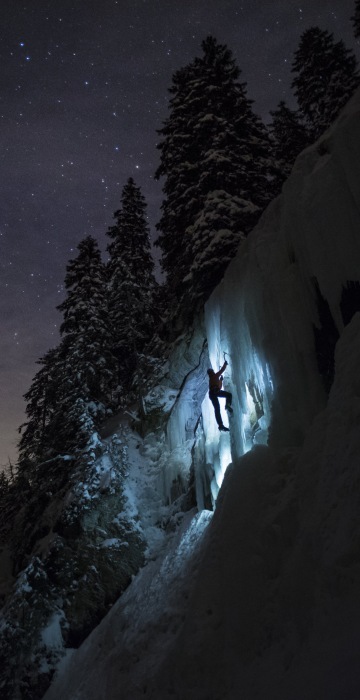 A member of Team Arnicare climbs an ice cascade during a night training session in Vaud, Switzerland, on Feb. 14. 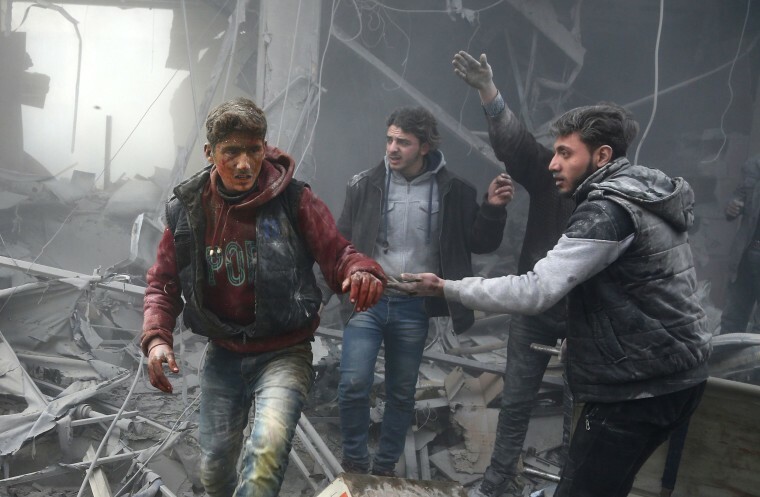 An injured man is helped from the rubble following an airstrike in the rebel-held enclave of Arbin in the eastern Ghouta suburbs of Damascus, Syria, on Feb. 8. Malek Abu Jaber, a 20-year-old nurse, lies on a bed as a colleague changes his bandages at a makeshift clinic in the rebel-held town of Jisreen, in eastern Ghouta, Syria, on Feb. 10, after he was injured on his way home by an airstrike. 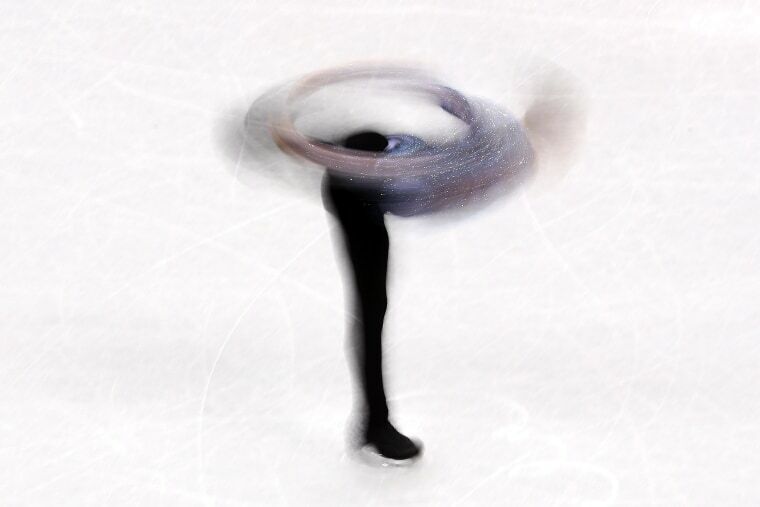 Adam Rippon of the U.S. competes in the men's team figure skating event at the Winter Olympics in PyeongChang, South Korea, on Feb. 12. 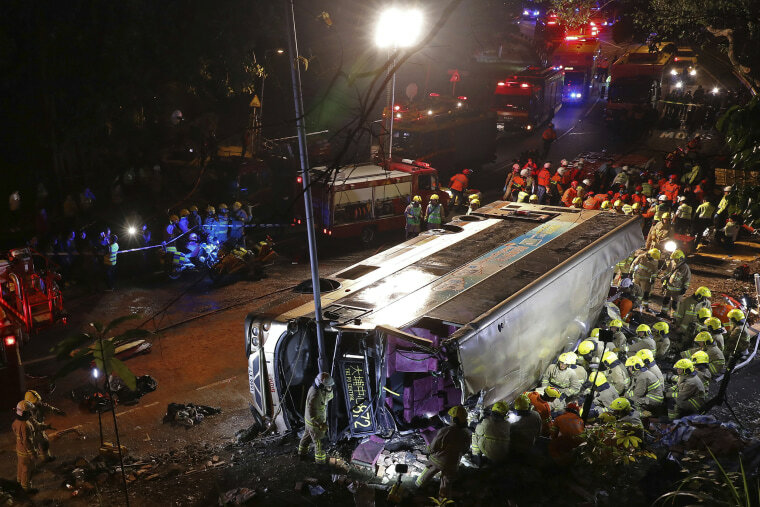 Firefighters rush to try to remove injured passengers from a double-decker bus after it lost control and crashed in Hong Kong on Feb. 10. The crash left 15 men and four women dead and sent more than 60 others to a hospital. 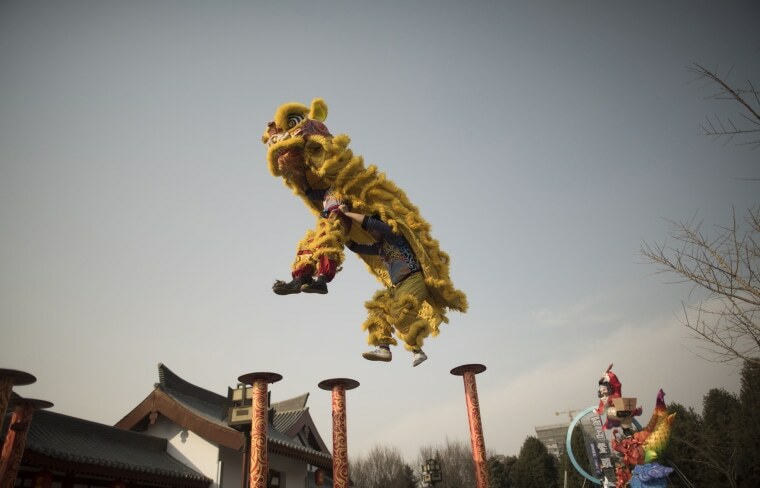 Lion dancers performers ahead of the Lunar New Year, marking the year of the dog, in Xi'an, China, on Feb. 14. 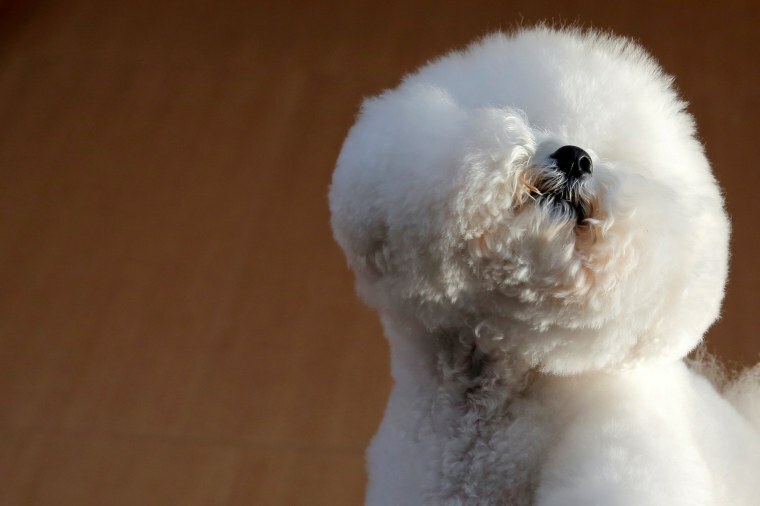 Flynn, a Bichon Frise, visits the One World Observatory a day after winning best in show at the Westminster Kennel Club dog show in New York on Feb. 14.